Are you allergic to penicillin? If so, are you sure about that? It’s surprisingly common for people to wrongly think they have a penicillin allergy — and that misconception can be dangerous for their health. Ten percent of all patients in the United States claim to have a penicillin allergy. Of those people, 90 percent are not truly allergic and can tolerate the drug. That means millions of people take alternative antibiotics, which are more expensive and can put their health and potentially the health of others at risk. The solution is a simple allergy test. A study in the British Medical Journal (BMJ) looked at six years’ worth of medical records for patients in the United Kingdom and found that those with a penicillin allergy had an almost 70 percent greater chance of acquiring a methicillin-resistant Staphylococcus aureus (MRSA) infection and a 26 percent increased risk of Clostridium difficile-related colitis (C. diff.). MRSA and C. diff. are major health risks worldwide. The study compared adults with a known penicillin allergy to similar people without a known penicillin allergy. People labeled with a penicillin allergy are usually instead given broad-spectrum antibiotics, which may kill off more good bacteria along with the bad. This appeared to increase a patient’s risk of infection with MRSA or C. diff., which are common in our environment and can live without causing any problems on someone’s skin or gut. However, if a broad antibiotic kills off competing good bacteria, MRSA and C. diff. can thrive and start to cause problems. “Penicillin-related drugs, that whole class … they’re very effective at killing, and they’re very targeted. So for some bacteria they’re still the best. Oldie but goody,” said Kim Blumenthal, lead author of the new study and assistant professor of medicine at Harvard Medical School. “I have seen so many terrible, terrible outcomes” from C. diff. infections, Blumenthal said, including serious diarrhea, sepsis and death. “All of us need to understand that antibiotic use is not a free ride, it carries a lot of risk,” said Paul Sax, clinical director of infectious diseases at Brigham and Women’s Hospital. He was not involved in the study but he says the study adds to the “substantial body of evidence” which shows that a penicillin allergy has been linked to longer hospital stays and an increased risk of acquiring resistant infections. Using non-targeted antibiotics can quickly breed resistant bacteria. “Not only is it harmful to the world and the general population . . . but it’s harmful to the individual patient. So the message to the public is that it could be dangerous to you or me,” said Helen Boucher, director of the Infectious Diseases Fellowship Program at Tufts Medical Center, who was not involved in the study. “In antibiotic resistance we don’t have a very loud patient advocacy voice . . . and the reasons for that are complicated, but a lot of it has to do with the fact that a lot of the victims aren’t here to speak for themselves because they died,” Boucher said. The infections are resistant to many known drugs and can quickly become life-threatening. According to the Centers for Disease Control and Prevention, 2 million people, equivalent to the approximate population of Brooklyn, are infected with resistant bacteria every year. At least 23,000 people die each year as a direct result and even more from complications. Diagnosing penicillin allergies is challenging. Symptoms such as a rash, nausea or diarrhea could be a sign of allergy, or they might coincidentally occur when someone is taking antibiotics, according to Jonathan Grein, medical director at the Department of Hospital Epidemiology at Cedars Sinai Medical Center in Los Angeles. Children frequently get rashes that are mistaken for penicillin allergies, Blumenthal said. Even if people are diagnosed correctly as children, they can grow out of an allergy, said Sax. Which raises the question, what exactly is an allergy? The Internet is full of “answers,” as any late-night Googling hypochondriac can tell you, but an allergy is simply an exaggerated immune response triggered unnecessarily. It can be anything from a rash to trouble breathing. For example, a patient of Sax’s, in his mid-20s, had a life-threatening heart infection. Penicillin could save him, but his medical record said he was allergic to the drug. Careful questioning by his medical team was able to determine that although he had nausea and diarrhea while on penicillin, he did not have an allergy, Sax said. Knowing this, the hospital administered the appropriate penicillin antibiotic to save his life. In the case of penicillin, it is important to know that the risks of the allergy diagnosis are sometimes worse than the symptoms of the allergy itself. In most cases, penicillin should only be avoided if the allergy is immediate and life-threatening. “There are over 30 million Americans who have a penicillin allergy on their record. And there are things we can do,” Blumenthal said. If it’s been more than 10 years since you were diagnosed, talk to your doctor about getting retested. This entry was posted in C. diff. Research Community, Health & Wellness Information, Pharmaceuticals and tagged Do you have a true Penicillin allergy?, Pencillin allergies, Penicillin, Penicillin testing, Washington Post on August 13, 2018 by cdifffoundation. Allyssa Anderson, PharmD attended Purdue University in West Lafayette, IN, where she completed their Pre-Pharmacy program and Doctor of Pharmacy program in a total of 6 years. As a recent graduate, Allyssa will be completing a PGY-1 residency at Presence Saint Joseph’s Medical Center. Allyssa aspires to pursue a career in infectious disease pharmacy after her residency program either as a provider or furthering her education with a second year of residency. Throughout her clinical experiences, Allyssa has taken part in several scientific research projects in the area of infectious diseases including, but not limited to, acute osteomyelitis, chronic osteomyelitis, clostridium difficile prophylaxis and prevention, and resistance trends. In addition, Allyssa is a member of the American Society of Health System Pharmacists (ASHP), along with the American Pharmacists Association. 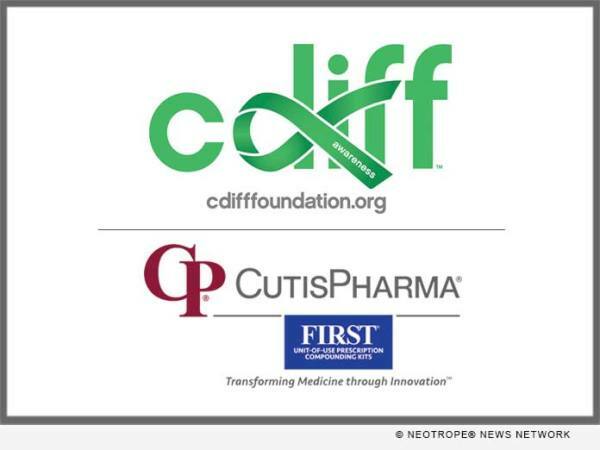 This entry was posted in Antibitoc Stewardship Guidelines, C Diff Foundation, Pharmaceuticals and tagged Allyssa M. Anderson PharmD, C Diff Foundation Antimicrobial Stewardship and CDI Prevention Committee on May 21, 2018 by cdifffoundation.